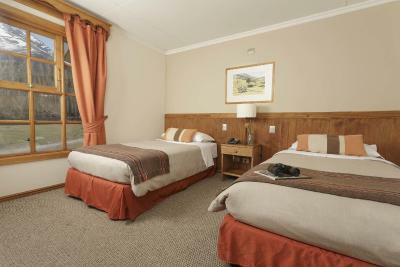 Lock in a great price for Hotel Las Torres Patagonia – rated 8.3 by recent guests! 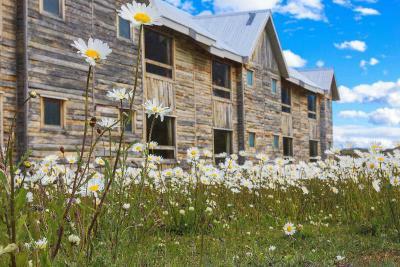 My wife and I recently spent several days at Hotel Los Torres Patagonia as we began our trek on the W. Our stay was excellent. It was a perfect start to our hike. The location was incredible, and the surrounding views were really striking. 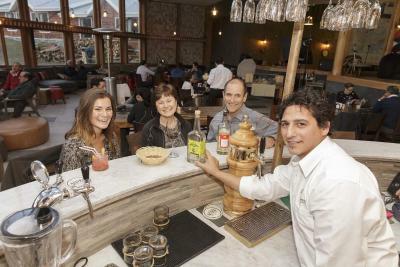 While service was inconsistent, we encountered several really nice staff members. 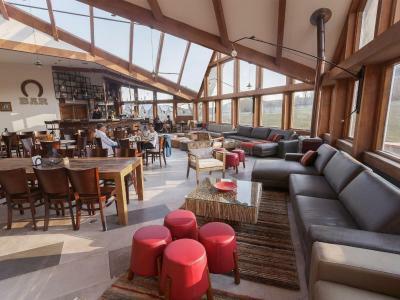 The lobby/atrium bar was also a nice spot to unwind, and it was fun to see horses roaming the property. 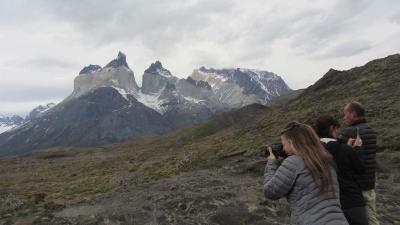 The hotel location was perfect for hiking to the Torres in the park. There was also a shuttle to get back to the bus station that you can book for the equivalent of $5 USD. Very comfortable hotel. Fresher than I imagined it would be. 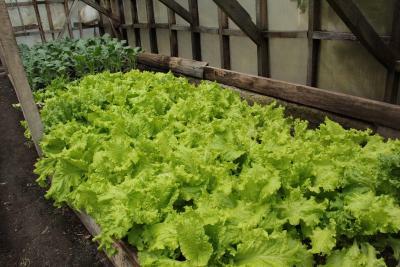 Good bed. Despite high price we were so glad we stayed here. Also, better WiFi than we expected (which wasn’t much). 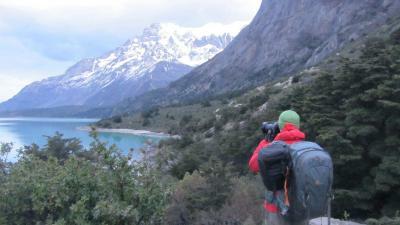 Unbelievable setting at the foot of mountains in Torre del Paine. 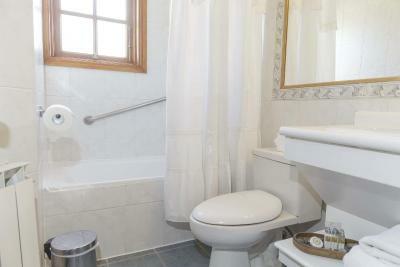 The facilities were adequate, but extraordinary considering the remote location. The excursion staff was very knowledgeable. Pablo was especially helpful. Location, Location, Location. Breakfast is phenomenal! Let me repeat, breakfast is phenomenal given its location. Morning horse coming to hotel! The hotel staff were very helpful and nice, especially the excursion staff. The excursion staff told us the best website to check the weather forecast and how to read the cloud cover (for seeing towers). We built three possible days into our schedule to see the towers in case of bad weather. 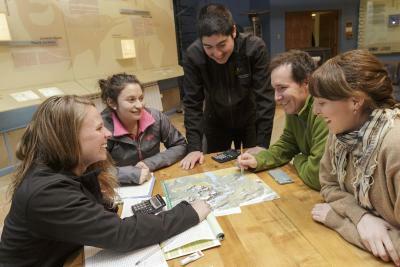 The staff also provided guidance on places to visit and excursions for our extra days. 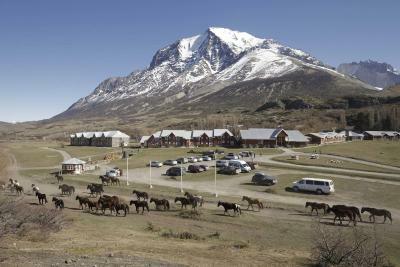 The reason to stay at the Hotel Las Torres is its location (views from hotels are better on other side of park). 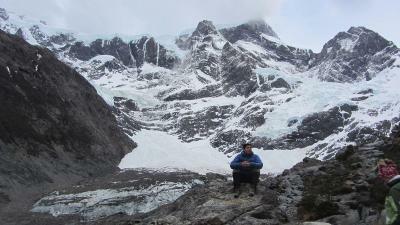 It is the only hotel near the trail to the base of towers and is nice enough. 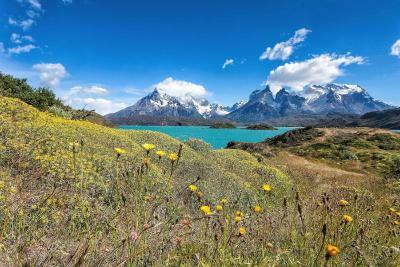 They have a fairly large set of excursions, which include their private Full Day Cerro Paine to the famous picture by Agostini (exclusive to their guests). 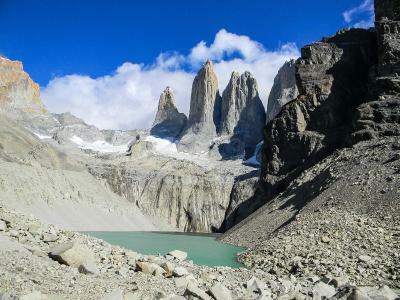 From the viewpoint, you look down on the Towers and Lago Torres. Breakfast and dinner was good. Hotel's stuffs are very nice and helpful, especially excursion stuffs. Breakfast and dinner was good. This hotel is the best place to start hike to the tower. 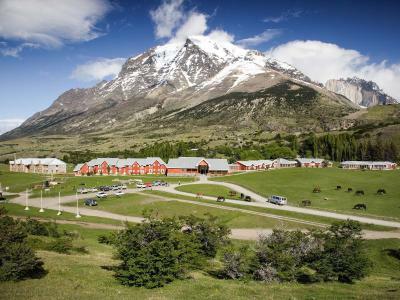 Hotel Las Torres Patagonia This rating is a reflection of how the property compares to the industry standard when it comes to price, facilities and services available. It's based on a self-evaluation by the property. Use this rating to help choose your stay! Located inside Torres del Paine National Park, Hotel Las Torres Patagonia offers accommodations with regular and all-inclusive rates. Free WiFi access is available and guests are served a complimentary breakfast daily. 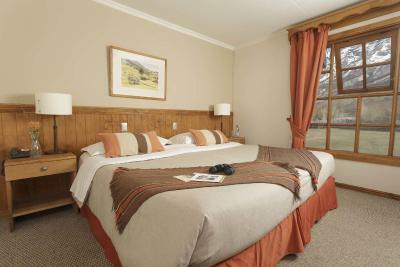 Rooms here are spacious, bright and have large windows with fantastic views of the valley and the mountains. All of them have heating and private bathrooms. 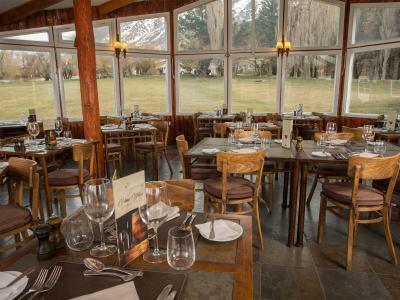 At Hotel Las Torres Patagonia guests will find an ample buffet breakfast. Traditional dishes are served for lunch and dinner at the on-site Coiron Restaurant, these, along with selected beverages and alcoholic drinks available at Pionero Bar, are included for guests with all-inclusive rates. 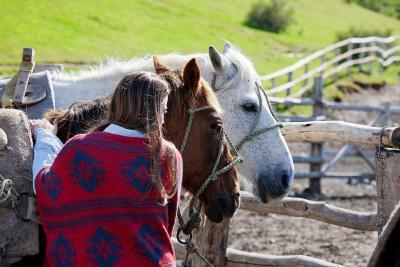 The hotel features beauty treatments at the spa and offers guests the possibility to experience being a Baqueano, or Chilean cowboy during one of the several offered excursions. 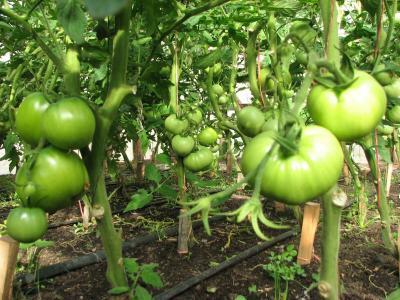 These excursions are included in the all-inclusive rates and are available for an extra fee with regular rates. 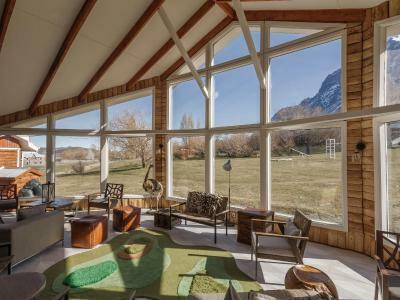 The property is 4.3 mi from Laguna Amarga Lake and a 2-hour drive from Puerto Natales. 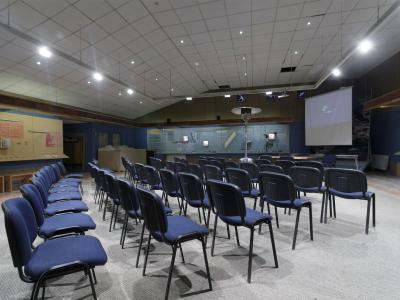 Ibanez del Campo Airport in Punta Arenas is a 5-hour drive away. Airport shuttles can be arranged. 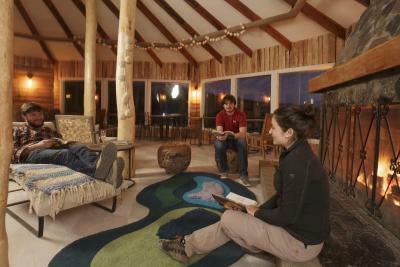 When would you like to stay at Hotel Las Torres Patagonia? 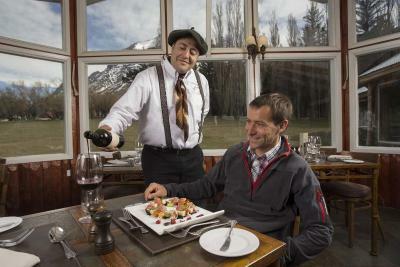 - Shuttle (Punta arenas, natales, calafate) from and to the property. 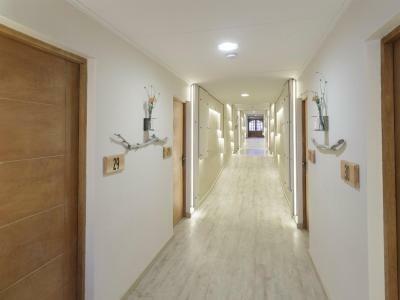 - 20% discount for SPA services. 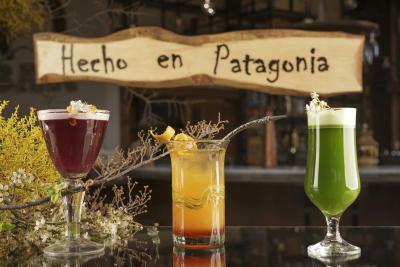 House Rules Hotel Las Torres Patagonia takes special requests – add in the next step! 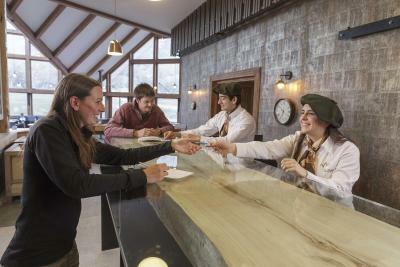 Hotel Las Torres Patagonia accepts these cards and reserves the right to temporarily hold an amount prior to arrival. 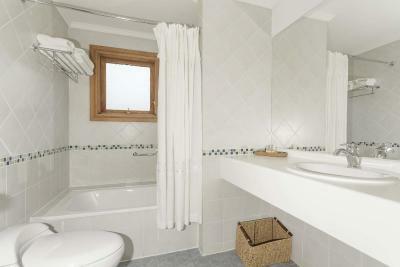 - This property offers regular rates and all-inclusive rates. 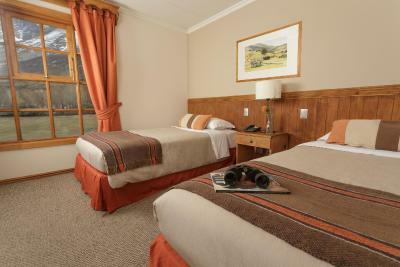 - Regular rates are per night and include breakfast only. 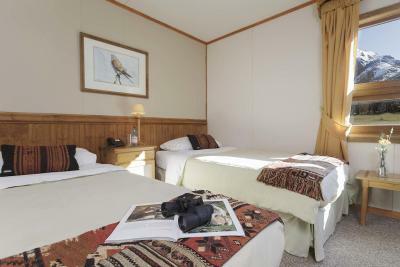 - All-inclusive rates can be booked for 3, 4 or 5 nights and include all meals, transportation to and from the airport or the border with Argentina and several additional services. 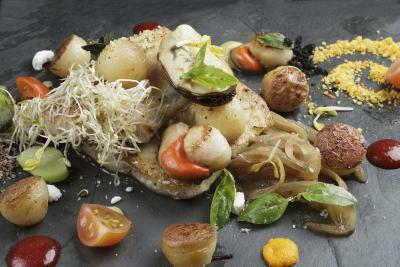 To see more details, please search 3, 4 or 5 nights and the package will be shown in the All-Inclusive Room description. 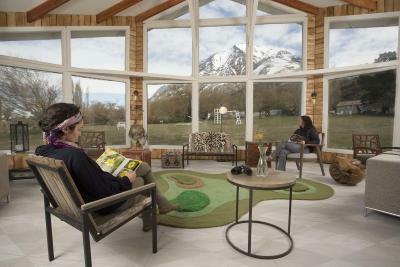 - Shuttle services from Punta Arenas to the property depart at 09:00 and at 15:00. 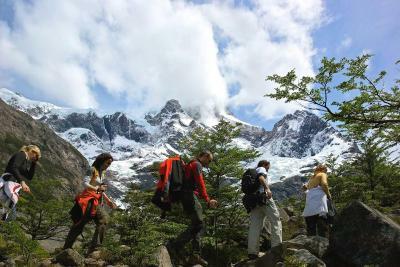 - Shuttle services from property to Punta Arenas depart at 07:30 and at 13:00. Based on local tax laws, all Chilean citizens and resident foreigners must pay an additional fee (IVA) of 19% To be exempt from this 19% additional fee (IVA) the payment must be made in US dollars and a copy of the immigration card and passport must be presented. The passenger won't be exempt from this fee when paying in local currency. In case of no show the invoice will be billed in local currency, including this additional fee (IVA). This additional fee (IVA) is not included in the hotel rates and must be paid separately. For the price paid we would have expected the WiFi to work in our room. Additionally, the restaurant food was poor value for money, as we were served soggy fatty ribs and beef with a ‘red wine sauce’ which turned out to be some sort of yellow mush. The communal toilets weren’t at all clean during our stay, the bath was too small, and my friend’s excrements wouldn’t flush down the toilet ! 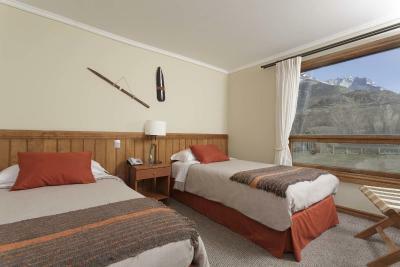 Great location within Torres Del Paine, with a comfortable room which was nice to come back to after a day of trekking. The breakfast was great, and all staff at the hotel were friendly and welcoming. Best hotel to stay if you want to hike to the towers base, hike starts from the hotel. Staff was amazing (thanks again Andrea) and bartender (and his creations) top notch. We did not do all inclusive so didn't try a lot of food and drinks but what he did it was good. WiFi was intermittent, but you can pay to connect to the park WiFi was is very good. Perfect location at the entrance of the park. 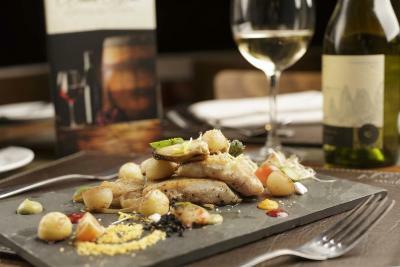 Comfortable, good food, good service. Based on the price, photos and descriptions, we were expecting quite a bit more. The rooms were on par with a decent roadside motel. Our shower was pretty bad. (Like getting blasted by a fire hydrant.) We were also short on towels and toilet paper. It just felt like the hotel tried to get the look of a luxury resort, without paying as much attention to quality, service, or other details. Overall, it wasn’t awful, but still a little disappointing. Hotel is in need of refurbishment. The location. Hard to beat those views. The food was extremely overpriced. Dinner for 2 which had 2 appetizers and 2 drinks was $90 (no entrees or desserts). For lunch the next day, 2 sandwiches and 2 drinks was the same price - astronomical for subpar quality. 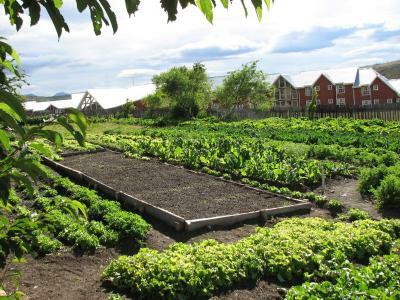 Be sure to have Chilean pesos at this property, as dollars are not accepted. 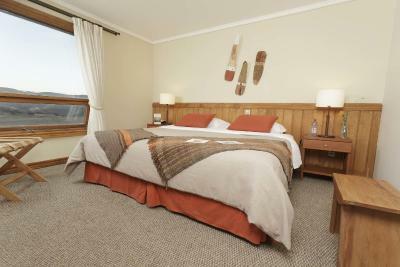 We also asked for a 2 bed room and received 3 beds - leaving us with little space. The bathroom was old and weird. It's an older property and they charge for location. If you can stay elsewhere, you should. Nothing. The price is a little bit expensive but you pay the location in the park. 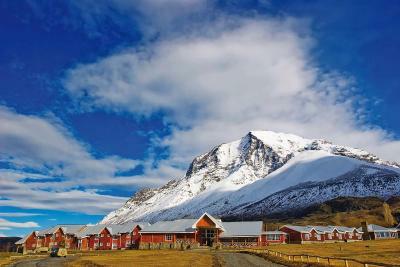 The location of the hostel is perfect ! You can go to the torres in 4h by walk through wonderful landscapes. The staff was very nice. It was clean and comfortable. The breakfast was huge and delicious. The assembly line feel of the stay. Very different from the rest of our time in TdP. 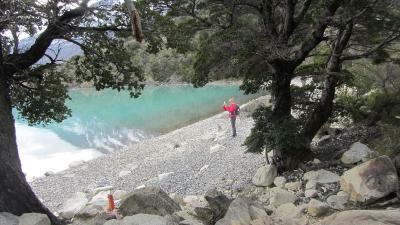 People stay in the area to start their treks and it’s one of the only hotels in the area since they own the land. It was very overpriced for what it was. They tried to put us in the room next to the boiler even though we were staying with our 11 month old baby. It was way too hot and we had to switch rooms. Highest price hotel in our 2 month S America vacation. Dining room was just OK. We preferred bar food, price and ambiance.